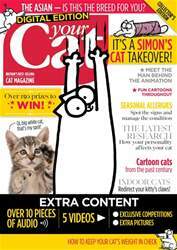 Our August issue ought to be renamed ‘action cat’ issue! We meet a skateboarding and surfing cat named Didga, Millie the rock climber, and Ruby the swimmer! These three prove that cats are adaptable creatures, purrfectly capable of doing some really surprising things. Never let anyone tell you that you own ‘just a cat’! You’ll love our lead feature if you’re planning days out in the UK this summer. 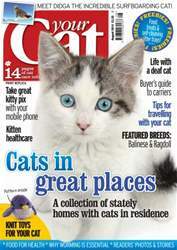 All around the country are stately homes with resident cats to meet. There are 13 properties, so you’ll be spoilt for choice. 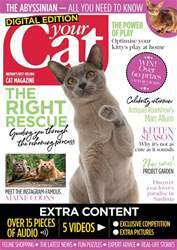 Many cat owners now use their smart phone to take photos of their pet so we asked top wildlife photographer Karine Aigner to compile a guide to getting the most out of a phone’s camera. She shares the story of Kat, her adopted Manhattan stray, along with lots of inspirational hints and tips illustrated with photos. 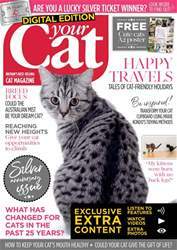 Vet Bradley Viner has some invaluable information for anyone planning to travel with their cat this summer and our buyer’s guide features carriers for trips to the vet, cattery — or further afield. 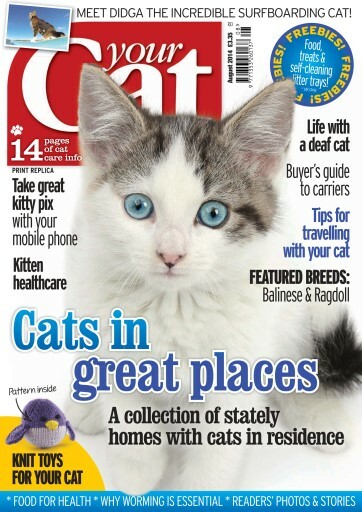 Our experts answer questions such as introducing kittens to an adult cat and helping an overweight mog to slim down, and our health special helps you become more worm aware! 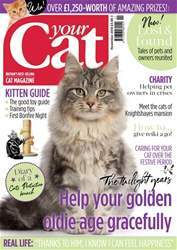 Among the other treats we have in store for you this issue are knitting patterns for cute cat toys, a delightful short story by novelist Rhoda Baxter, and a selection of readers’ true cat tales.